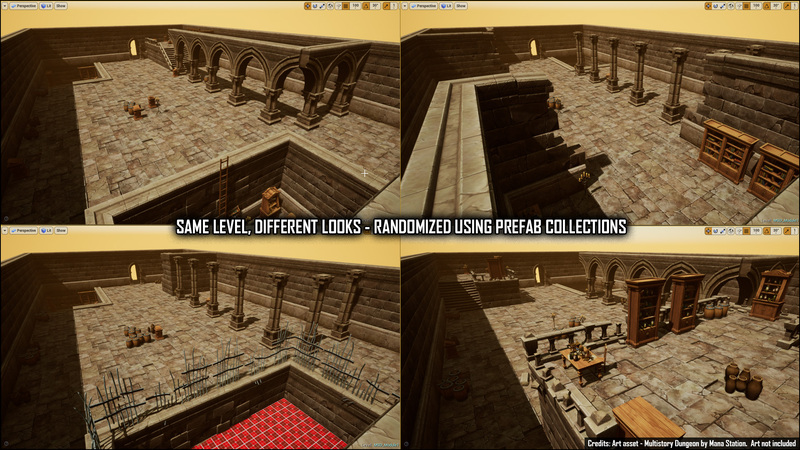 Combine similar prefabs into a prefab collection asset, e.g. 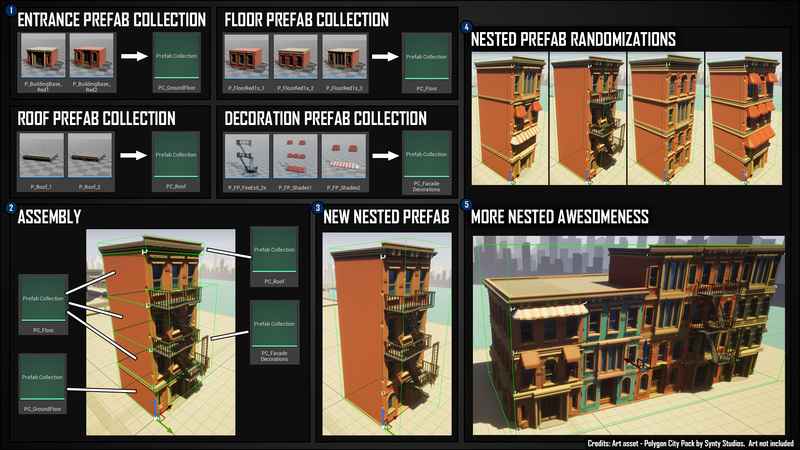 decroative prop prefabs can be combined into one decorative prefab collection asset. 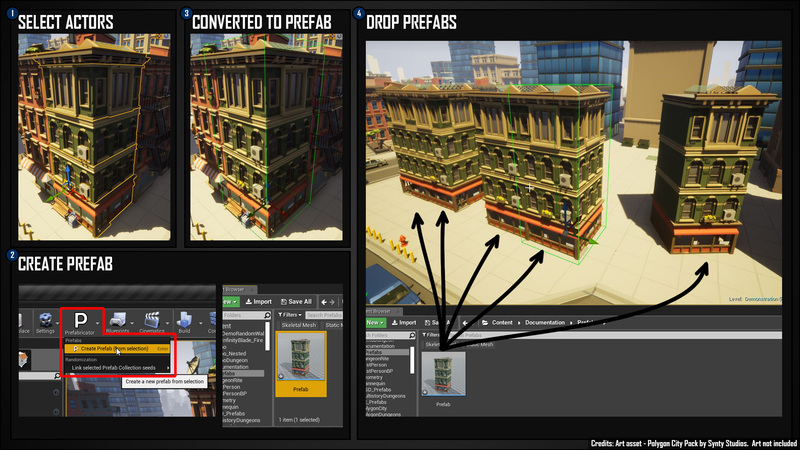 Place this single asset all over the map and have Prefabricator select a prefab from the list. If you don't like a certain selected prefab, click and randomize them individually. Last edited by Ali Akbar; 01-24-2019, 04:34 AM. What! This looks amazingly useful Great work and thanks for sharing. How much of this will be accessible during run time? I'm guessing they are pretty set once put in a level? If I am wanting to put an "infinity" dungeon in a mobile project. When exit a level it will create an empty level. And basically i'm using DnD style tile set sections that it will spawn during loading to create the next floor. It would be nice If much of this could be set up to work on construct.So that the level would look different even if ended up with same layout. Awesome tool Ali Akbar ! Thanks! Now, that's something!! :-) Thank You whoever made that! Last edited by Ali Akbar; 01-02-2019, 11:37 PM. Does that mean it will be paid version later? Can you make a demo project based on the free Ice/Fire Infinity Assets? It would help a lot to see practical use from an expert! 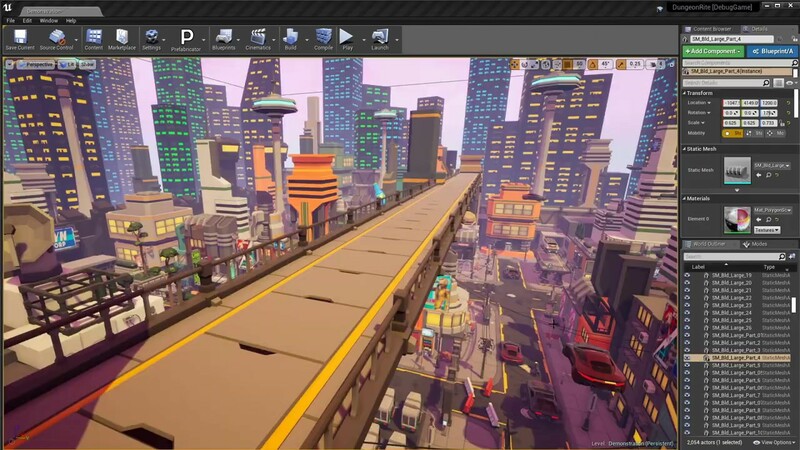 Do I need to do anything special to have it working with UE4 built from source (non-Epic fork of UE4) ? Hello Ali Akbar wonderful work. I have all my level designer friends freaking out about this. Some user on discord reported that converting a prefab to one single static mesh doesn't merge the materials, I don't know if this has something to do with the plugin but I thought it was worth pointing it out. Again, wonderful job, big kudos. Ali Akbar just great work. Thx a lot. I appreciate you making this plugin free, though I would've paid money for it. This will be a great addition to Unreal's toolset.